Valentine's Day is upon us. 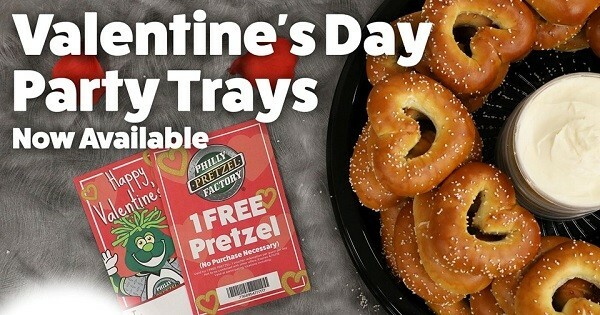 Philly Pretzel Factory will be making small and large heart pretzels to celebrate. Great snacks for office meetings, classroom celebrations, & parties. Find more events like "Celebrate Valentine's Day with Heart Shaped Pretzels"